Customers walk into Empire Loan stores every day to buy a special gift for someone; friend, family, future or present spouse and always shrug their shoulders about what to buy. If you’re not planning to ask them to marry you or know what size they take, avoid a ring. Do they like large hoop earrings or tiny studs? Do they wear bracelets or not? Do they have allergies to certain metals (truth be told, I was married for 23 years before I found out my wife couldn’t wear white gold earrings. By pure coincidence I had always bought her yellow gold). These are just a few of the things you should get a clue about before shopping. After establishing some of these points, here are 3 things that may provide a clue as to what you can get somebody. More than just a pick up line from the 70’s, buying something that references a person’s astrological sign may give you some ideas about what to look for. You can certainly buy something that boldly says “AQUARIUS” in big letters or has a picture of a man carrying a bucket or pitcher of water, but maybe instead get a pendant of a pitcher of water to represent it. This is a much more subtle way of indicating you gave some thought to the gift and remembered when their birthday was. It also allows them to explain the significance to those that take the time to ask where they received that lovely gift. 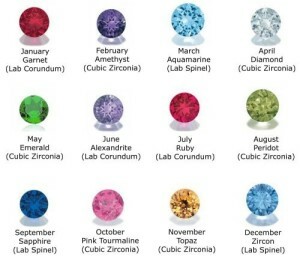 January babies are garnets. February is amethyst while March is aquamarine. Customers may not be sure what sign their gift recipient is or what their exact birthday is, but they can usually narrow it down to what month they were born in. Each month has its own unique birthstone that can help narrow the choice of gifts. Looking for something with an emerald in it for somebody whose birthday falls in the month of May can make it simpler to select the perfect gift. Again, showing that you thought enough to get them a gift that represents their birth month makes your present even more special. Rings, chains and bracelets are 3 jewelry items that have a “size”. This means when you buy somebody a ring it may not fit properly. A chain or necklace could be too long or short and a bracelet could be too large or too tight. Earrings on the other hand are a one size fits all gift that work for just about anybody. Hoops for somebody who usually wears studs can be looked at as the gift for when they dress up, dangling earrings could be for special occasions while studs can be worn every day. When I have a customer stuck on what to get, I show them earrings. What works best for the special person you’re shopping for? Follow these three rules and you’ll be able to make the right choice. Empire Loan buys gift cards from over 650 merchants and pays cash on the spot. No machines to fuss with, no sharing credit card or bank account information, just bring in your gift cards along with your ID and you walk out with cash in your pocket. One customer came in with over $200 worth of Dunkin Donuts gift cards he had received over the holidays from his customers (he was a trash collector) and while he appreciated the thought, he doesn’t drink coffee! Another customer received a gift certificate to a high end department store where the $50 gift card he received might get him a pair of socks. 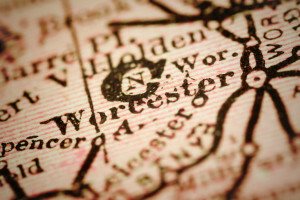 One customer even came in with a gift card for a restaurant chain that doesn’t even have locations in New England. In each case, Empire Loan paid them cash for their unwanted gift cards. Gift cards became a popular holiday gift for family, friends and service providers when you couldn’t figure out what to give them for the holidays. A gift card would let them shop for themselves and get the right size or color item. Unfortunately, you can’t please everybody. 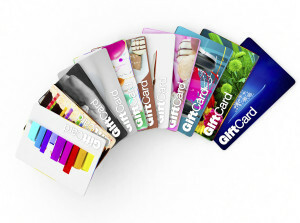 Instead of letting it sit in your wallet or purse and take up space, bring your unwanted gift cards into any of Empire Loan’s 8 locations in Boston, Providence, New Bedford, Worcester, Stoughton, Lowell or Lynn along with your ID and you could be walking out with cash. The advantage to getting cash for your gift cards is that you get CASH that you can spend anywhere you want to get just what you want. Once again, Empire Loan makes it easy! Empire Loan Will Sell, Loan and Buy Tools! As New England’s leading pawn shop, Empire Loan can show you how to get cash and great deals on top of the line tools! If you have new tools and want to turn your veteran tools into cash, Empire Loan will buy tools for cash. If you just want to get a loan on your tools to help you get to your next payday, Empire can give you a cash loan for them. Last but not least, if you’re looking to get a good deal on tools, any of Empire Loan’s 8 stores is where you should start your search. Empire Loan offers buys and loans on gently used hand and power tools and offers great deals when we get to offer them up for sale. 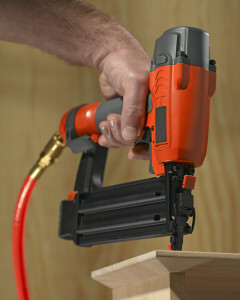 Power Tools: Drills, nail guns, circular saws, compressors and more, are all tools that Empire Loan pays cash for. 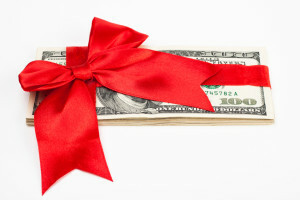 If you just got a new power drill as a gift, this may be the time to convert your old drill into the cash you want. If you just need to borrow a little cash against the value of your tools but want to keep them for future use, Empire Loan could be the place for you. Tools from manufacturers like Bosch, DeWalt, Makita, Milwaukee, Porter Cable and others are all top quality and respected companies that make tools that could put cash in your pocket. Hand Tools: Ask any handyman what they value and you’ll hear about a particular set of wrenches or ratchets that they can’t live without. But when it comes to different specialties, different tool manufacturers come to the top. Automotive tool manufacturers like Snap-On and Matco are at the top of the auto mechanics wish list while electrical brands like Klein and Greenlee or plumbing brands like Channellock and Proto are at the top of their fields. The important thing is that when they are kept in good working, order they may be able to get you the cash that you need. Buy: If you’re looking to buy tools to get the job done, Empire Loan is the first place to check for great deals on the best in the world. Sell: If you’re looking to sell your tools for fast cash, Empire Loan will pay you on the spot so you don’t have to worry about trying to sell them online or to a friend or associate. Loan: When you don’t want to sell your tools but need some cash to help make ends meet, Empire Loan will lend you cash and hold your tools until you get caught up. Empire Loan can help you with your tool needs! Shop Providence Pawn Shops and Save! Wait! Before you brave the massive crowds and over hyped sales at the mall, take a trip to Empire Loan! National jewelry store chains in big malls ramp up their advertising (and prices) on gold and diamond jewelry to lure you in for the holiday season. They promote how the items they have are unique and express your love and devotion. When you’re all done you just dropped a small fortune on a small, overpriced piece of jewelry that a thousand other people bought for their loved ones too. Take the Providence Place mall in downtown Providence for example where there are 9 different stores that sell jewelry. How unique can the jewelry be if nine national chains have locations in just that one mall. 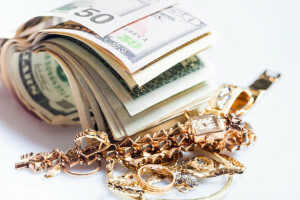 A pawn shop like Empire Loan has thousands of gold, platinum silver and diamond pieces to choose from and no two are alike. Chains, bracelets, pendants, earrings and rings in every design you can imagine, is on display. One truly unique store without the headache from a pushy sales person trying to up sell you on their warranty. Empire Loan has two Providence pawn shop locations with plenty of free parking, and they both offer prices that are just a fraction of what those mall stores offer. Don’t drive around in circles looking for a parking spot just to shop for overpriced merchandise that everybody else has. Try the new experience of getting great deals on beautiful top quality gold and diamond jewelry at Empire Loan. The Garage or basement workshop: Most homeowners have tools they bought to get a project done that are now just sitting in a box on the shelf. 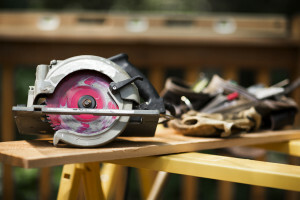 Power tools like drills, circular saws and compressors are just a few of the power tools that may be taking up space that you can bring to a pawn shop to get cash. High end sets of wrenches from manufacturers like Snap On have solid resale values and can be used as collateral for a loan at a pawn shop. Look around and see what you can find! Electronics: Pretty soon you’re going to be getting a new TV, digital camera, laptop or game system as a gift so why not trade in your old one for some cash? Electronics don’t necessarily hold value the way other items do but you may be able to get something for it instead of just dumping it in the trash! If you call a pawn shop like Empire Loan with the brand and model number of what you have, they may be able to make you an offer right over the phone! What do you have to lose? Musical Instruments: Remember when you were going to learn to play the saxophone so you rushed out and bought one? How’d that work out for you? You used it once or twice and now you can use it one more time. This time to get cash! Guitars, trumpets, drums, keyboards, just about any kind of well made, well maintained instrument could make you some cash. How does that sound! Collectables: The market for collectable figurines, crystal and other items has been in decline for quite some time. Items from companies like Lladro, Hummel and Waterford still sell for big bucks at retail but the price to collectors has been going down. If you’re tired of dusting these pieces each week and want to turn them into quick cash, a pawn shop may be just the place to take it. 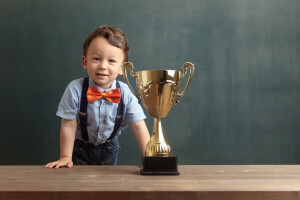 Better to get something for it than waiting around for the market to crash or worse yet, for your statuette to come crashing down from the shelf. 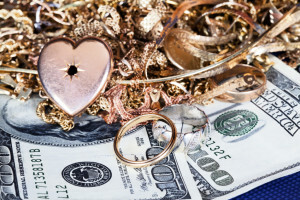 Gold and Diamond jewelry: What’s at the bottom of your jewelry box? What lone, loose earring, bent ring or bad boyfriend memories do you have laying around that could get you some cash. 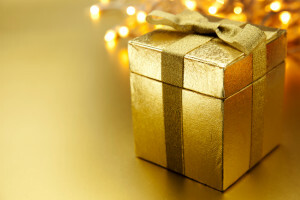 Whether it is an ugly pair of earrings from your well meaning aunt or the promise ring from the old boyfriend who broke his promise, these are the gifts that can just keep on giving. Gather it up and bring it into a pawn shop and get the cash you need right now. Need cash for the holidays? Take a look around and get into your friendly neighborhood Empire Loan pawn shop! What Sets Empire Loan Apart From The Competition? What Sets Empire Loan Apart? When Empire Loan opened 30 years ago in 1985, the goal set out by third generation pawn broker Michael Goldstein was to create a new kind of pawn shop, one that treated customers honestly and respectfully. Those guiding principles carried on as Empire expanded and nowhere is that more evident than in the New Bedford/Fall River area where Empire opened their second store. When that store opened in 1989, New Bedford and Fall River pawn brokers had developed a terrible reputation for being less than honest and fair with customers. Not telling customers that they did not have to come in monthly to make payments, charging them excessive fees and interest and trying to short change them by giving them less than what they deserved. New Bedford and Fall River pawn brokers were everything Empire Loan in New Bedford was not. At Empire Loan in New Bedford, pawn brokers take the time to explain the process to their customers and tell them ways they could even save money on their loans. The staff at Empire Loan’s Acushnet Avenue store work with customers to try and get them as much money as they can for their items, but explaining they don’t have to take the maximum amount if they don’t need it, which helps them save money. One of the biggest differences between Empire Loan in New Bedford and other pawn shops in Fall River and New Bedford is the time they take the time to teach customers how the loan works and what the fees and charges are. Surprisingly enough, other pawn shops on the south coast don’t do that one simple thing. That’s why while the industry sees around 80% redemption rates for pawned items, Empire Loan in New Bedford sees almost 90% of their pawn loans redeemed. This means that only 1 in 10 people can’t or don’t redeem their loans and get their merchandise back. What sets Empire Loan in New Bedford apart from other pawn shops in Fall River and New Bedford? It’s all about caring about our customers.